Timeless and Graceful, the 7-8mm Japanese Akoya White Pearl Earrings show the softer side of the white and gold combination. 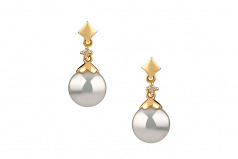 The 14K yellow gold earring features diamond accents (.03ct) in the center of the dangling earring just above the pearl. 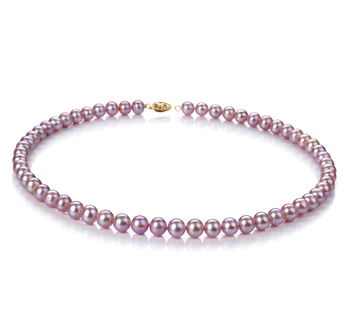 They are surrounded in sparkling yellow gold. 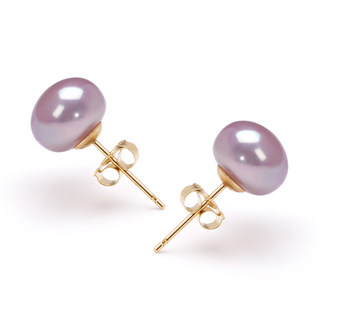 The earring form a cap that sit elegantly on top of the white pearl suspending it in midair and showcasing it in all its beauty. 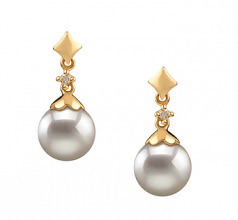 The AAA shape and luster of the pearl work together in the shimmering delight of the luster and create the total beauty of the elegant Japanese Akoya White 14K Yellow Gold Pearl Earring Set.